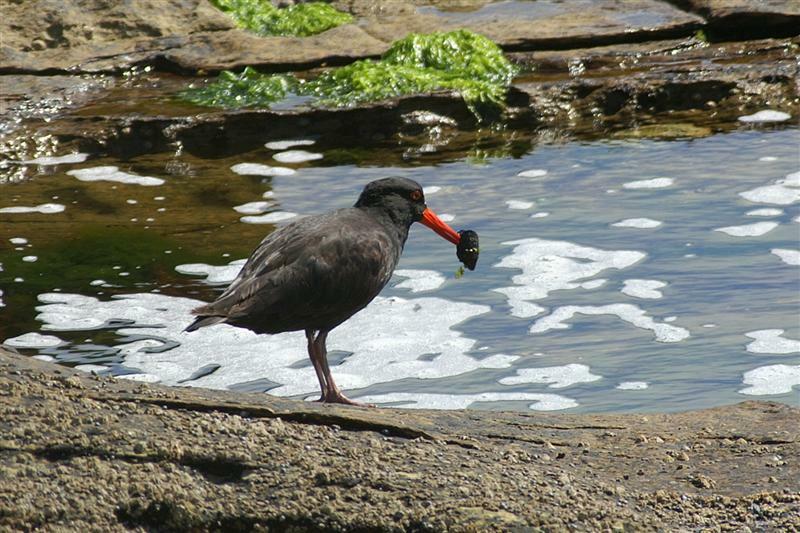 The name doesn't quite have the same 'ring' about it as Oystercatchers, but at this time of year, both of our species of Oicks, may be seen feeding on mussels. 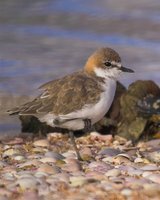 I'm not sure whether any of this World wide group of birds, actually eats oysters as a prime food source. 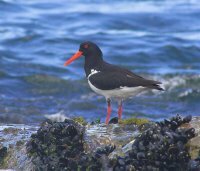 I believe in England, where they were probably first named, their main food is cockles, which begs the question, why they were dubbed 'oystercatchers'! At this time of year, there is a bigger than usual tidal range, at least locally, and at the low point of the tide, expanses of the shore and rocks not normally seen, are exposed. Among the 'winners' are the oystercatchers. These accompanying images were shot on my almost daily 'constitutional', that encompasses the Second Bluff at Bellerive, a spot I look forward to, just to enjoy the various shorebirds that mainly use this area as a roost. 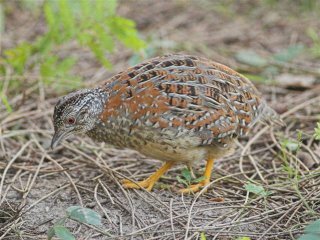 Murray Lord sent me the accompanying shot of a Painted Button-quail and commented that this was the first one he had seen since 1985. By the way this one was photographed at the Warriewood Wetlands in NSW. My reason for including it here is to pose the question of Quail sightings. 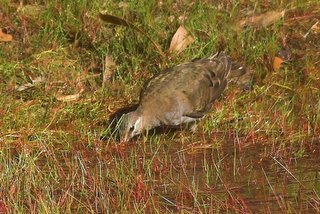 There was a time when I regularly flushed quail at such places as Seven Mile Beach reserve, Goat Bluff South Arm, Mortimer Bay and many places in the Huon area, but I can't actually recall the last one of any species that I've seen. My last sight of a Painted Button-quail in Tasmania, was during the first Atlas, in the late 1970s from memory, when Mike Newman showed me a pair at Lenah Valley. They were very approachable, just as Murray mentions his was. 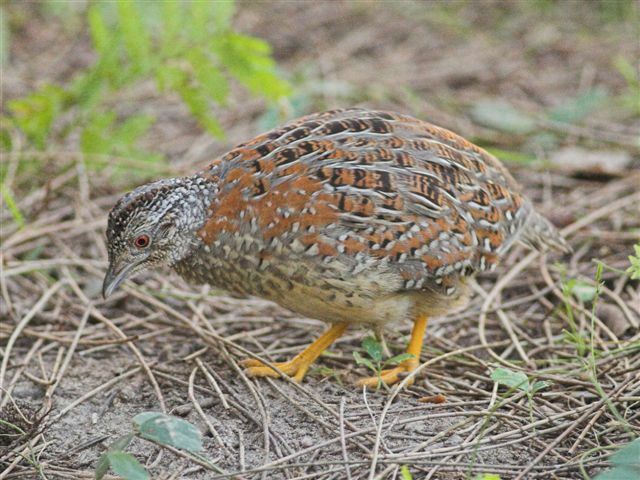 Am I alone in not seeing quail these days? I would be interested in receiving comments. 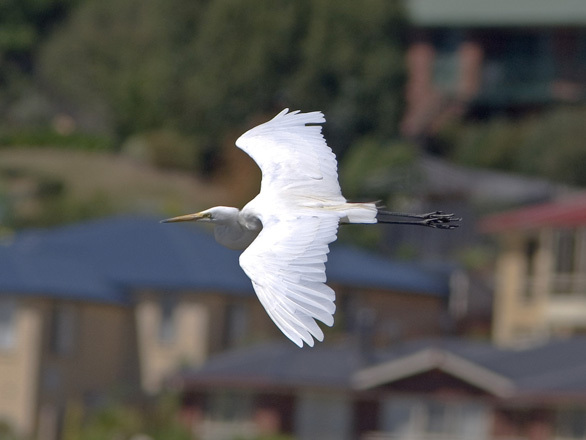 Felix Wilson sent in the accompanying image of a Great Egret taken at Gould's Lagoon on Thursday (23/2). He asks whether this is an early record of a bird arriving from the Mainland. Certainly egrets in any numbers usually start arriving in the Autumn, but I have noticed one occasionally during the Summer at this venue, so suspect it's that individual. A few, mainly Great Egrets and the odd Little, do overstay during the Summer months. A report of 29 Great-crested Grebes from Moulting Lagoon last week is an interesting record. A few can often be seen in or near Orielton Lagoon. Who's been visiting my domain? John & Shirley Tongue write: On Thursday we went exploring, to find THE waterhole in the Red Gate section of the Meehan Range Recreation Area. There were LOTS of species around (positively identified 21 species by sight or call in a couple of hours), but it was the middle of the day, so many things were staying away from the waterhole. Hence, I include a shot of the pool itself, but don't have any shots of birds there. A bit of a bonus was the feed of blackberries we had near the entrance to the walking track! 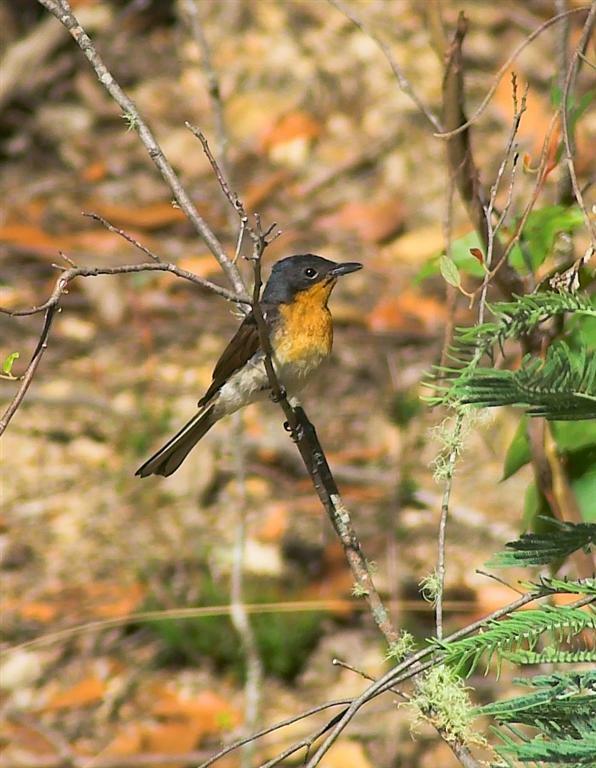 One thing that did strike us was the number of Yellow-rumped Thornbills around. 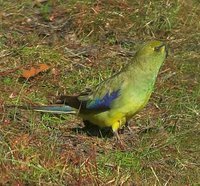 We saw lots last week, too, out to the East of Sorell. Maybe it's just the time of year, or maybe the areas we've been in, but we haven't really noticed so many before. Of course, they're not going to sit still to be photographed! 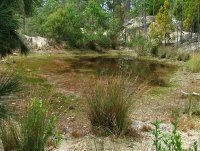 Anyway the waterhole would cetainly be worth a re-visit closer to dawn or dusk. One of the purposes of running this blog is to encourage readers to give digital photography a go. It has many advantages over 'conventional' film photography--it probably won't be long before we refer to digital as conventional!--and after the initial expense, is considerably cheaper on running expenses. I'm pleased that a number, albeit few, people have contributed and a few others are in a throes of buying the gear. reach the standard seen on some of the bird photography websites? Probably not, but I can say from personal experience, that it will improve your enjoyment of birding beyond measure. Having birded in Tasmania for 40+ years, I can reasonably say that I have "been there, done that". 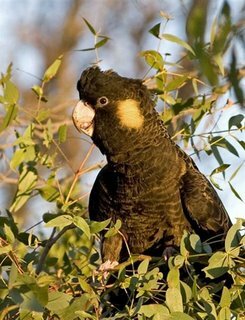 I have travelled most of the state, including the islands, banded, counted, atlassed and heaven knows what else! I needed a new outlook, and digital photography has worked wonders. Why not consider giving it a try. 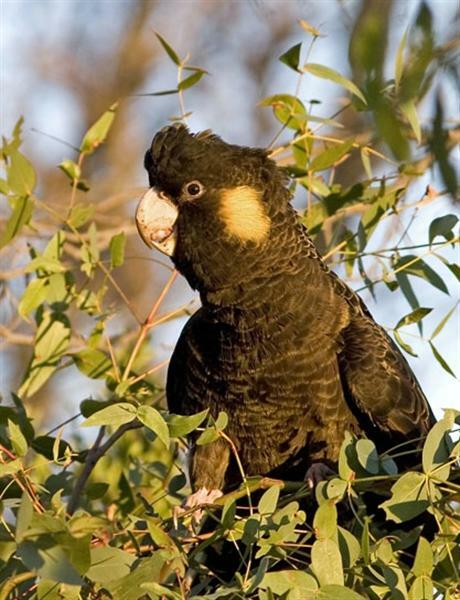 As you can see from the accompanying images, not all birds will co-operate! 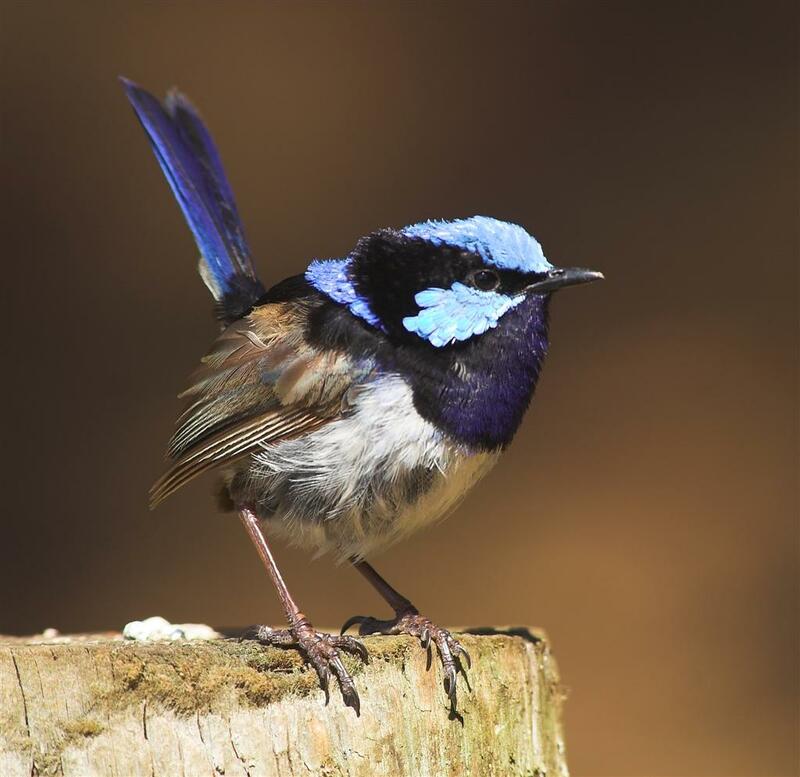 A female Superb Blue Wren and a male Satin Flycatcher giving me a hard time. lone bird and that he usually expects to see them in flocks and maybe this was an outcast of some sort. 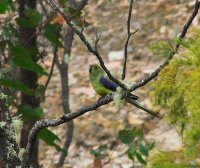 He also mentioned that the Domain is a good spot for Eastern Rosellas, pardalotes and the ever present Noisy Miners. John & Shirley Tongue write: We were out for a days drive and birding on Thursday (16th Feb). 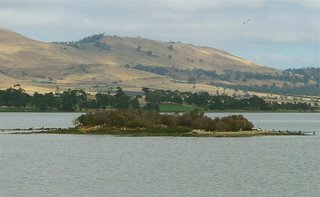 As we headed out towards Sorell, we stopped for the obligatory look along the edges of Orielton Lagoon, and were amazed at the number of birds on Susie Islet ( the tiny islet out in the lagoon on the North side of the Midway Point-Sorell Causeway). 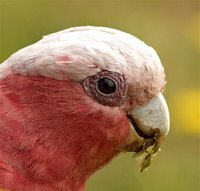 On closer inspection, not only were we surprised at the number of birds, but by the variety of species, on such a tiny speck of land. 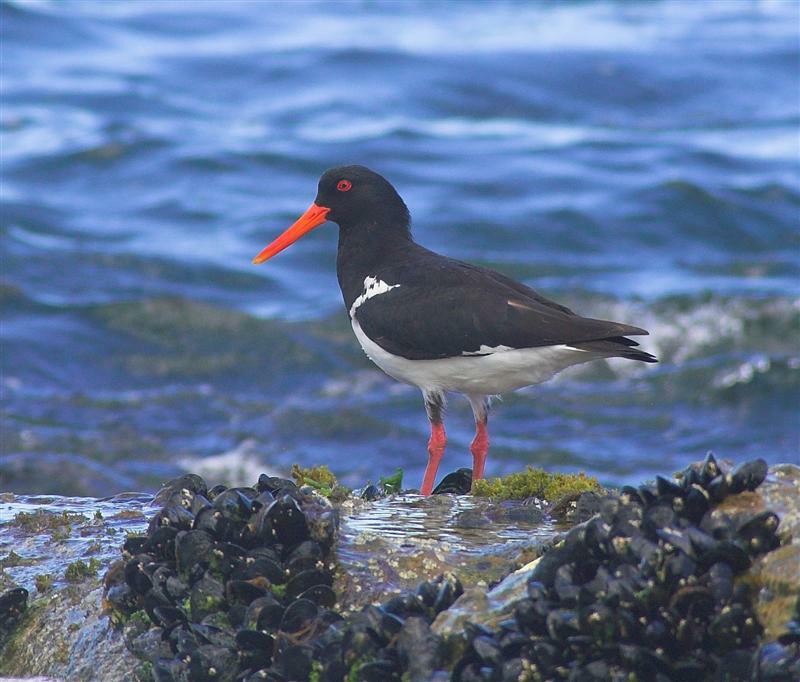 There were Silver and Kelp Gulls, Great, Black-faced, Little Black and Little Pied Cormorants, Pelicans, Crested Terns, Chestnut Teal, and Pied Oystercatchers. There were also Great-crested Grebes and Musk Duck working the waters close by. We didn't spot the oft-noted Royal Spoonbill, however. 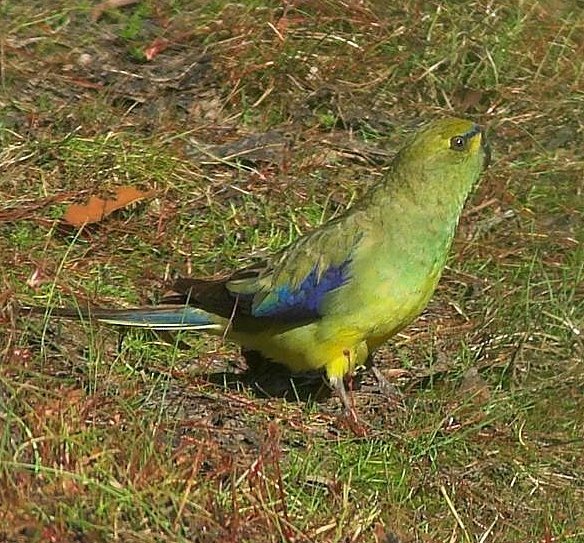 We were left wondering whether there are many spots around Tassie with a higher species density. The accompanying pic. doesn't show any particular bird to best advantage, but does give some idea of the cluster. Patience is a virtue so the saying goes and in recent years I can't say it's been one of mine. But this morning I hung in there. As I photographed at the waterhole, I became aware of a Blue-winged Parrot arriving at the top of a 30metre dead tree, high on the bank overlooking the area. I hoped it would come down and drink. After what seemed an eternity, and via a number of other trees it finally made it to the edge of the water about 20 metres away. 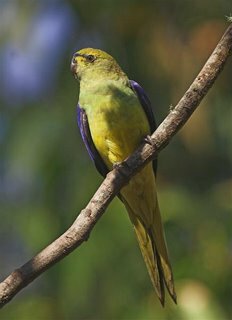 However in the excitement of the moment, I had failed to notice that just below me (I was standing on the wall of the dam) hidden from view by scrub, was a Green Rosella. 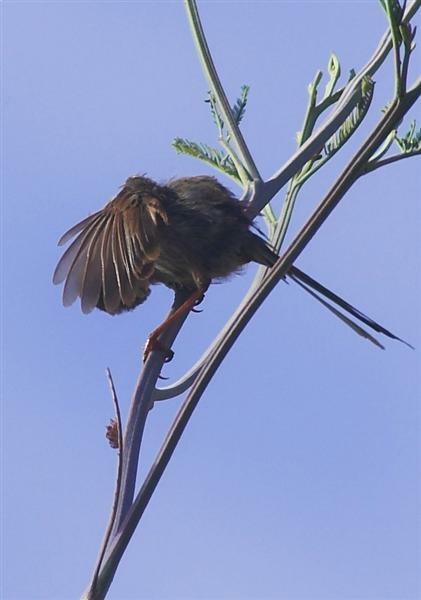 It flushed as I repositioned myself, with it's "cusick", "cusick" call reveberating around the hills, it in turn flushed the Bluewing. I wasn't that pleased!! An hour or so later, after hearing small flocks pass overhead with their "tinkling" call, I noticed one had appeared on the branch only 3 or 4 metres away. I very slowly turned the camera round and took several shots. 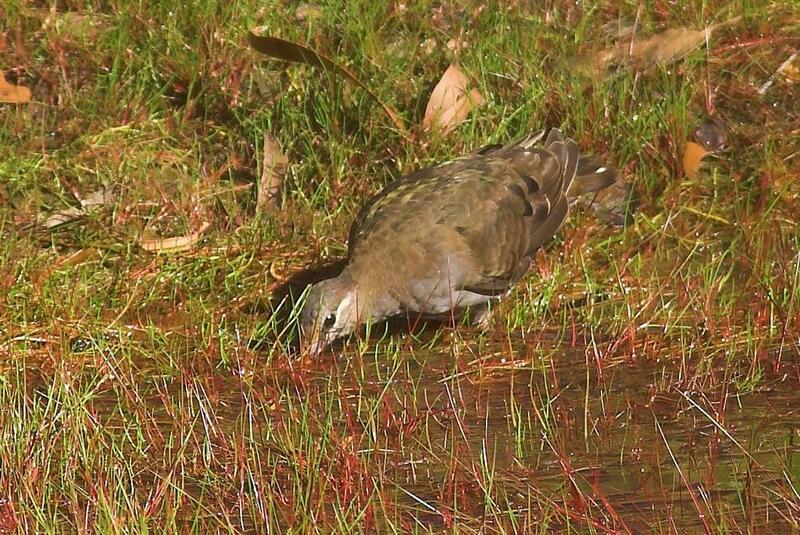 Shortly after, several others appeared, and warily approached the water. Some to bathe, almost at my feet, although I couldn't see them and others walked to the water and drank. Surprisingly to me, they all bathed and drank singly and not in a flock. In ten minutes it was all over. That was enough excitement for one day for me too! 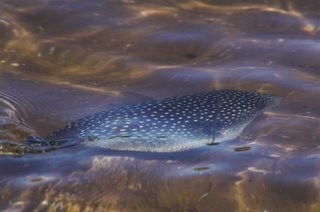 clear area, then walking, very warily along the edge of the water, stopping frequently, using an agitated head nodding (not bobbing), before making a nervous approach to the water and drinking. A reverse strategy was used as it left the water, before a noisy wing clapping as it flew off. (These images were taken from about 20 metres away). 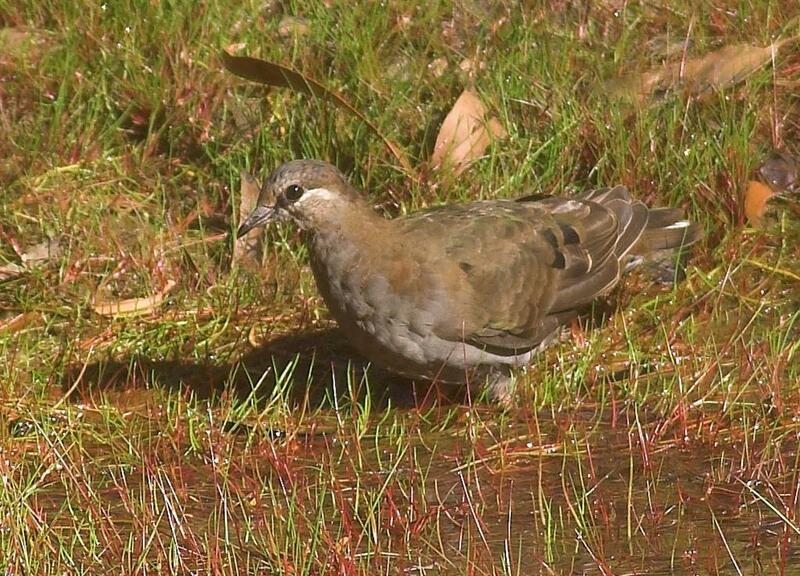 The area supports a good population of Common and a few Brush Bronzewings. I could hear several "ooming" as I took these shots. Took the accompanying images this morning in great light and you'll have to indulge me again as I blog them. 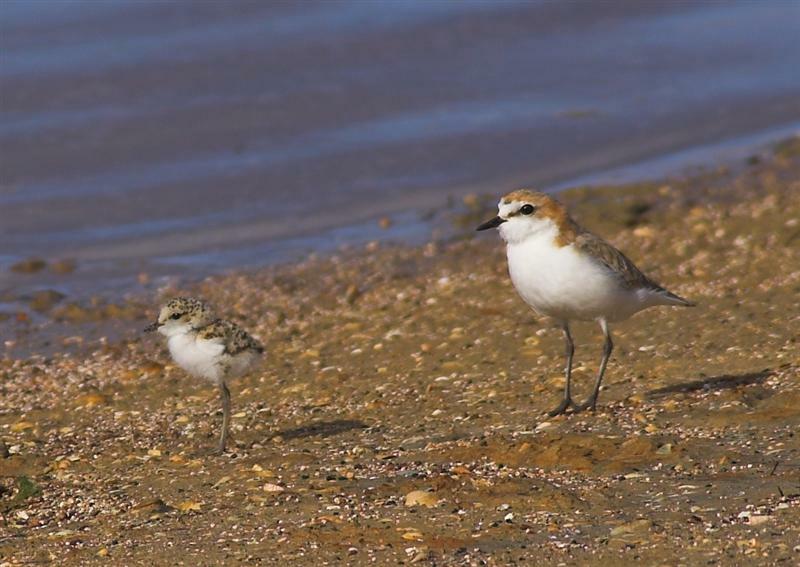 Surprising number of Red-capped Plovers at Pipeclay Lagoon where these were taken. 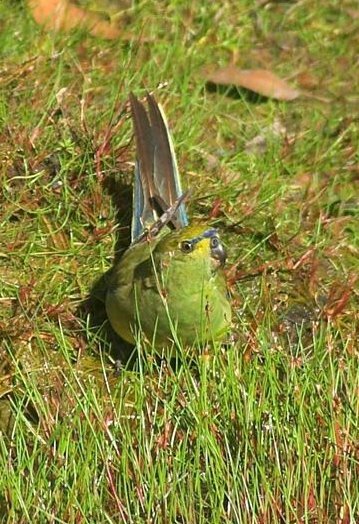 As you can see from the female with a runner, there are still some breeding. From my experience they have a long breeding season, starting in August and ranging sometimes into late March. 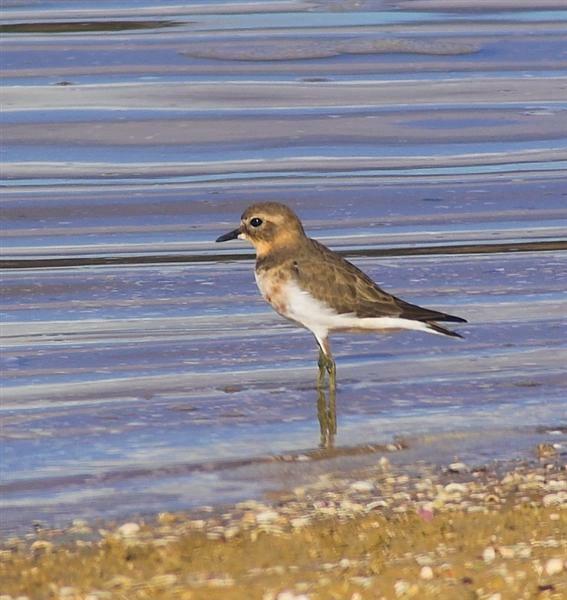 It's that time of year when the Double-banded Plover put in an appearance. 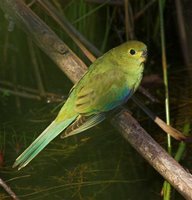 A trans Tasman migrant, it can be found around the state, on the coast and inland. 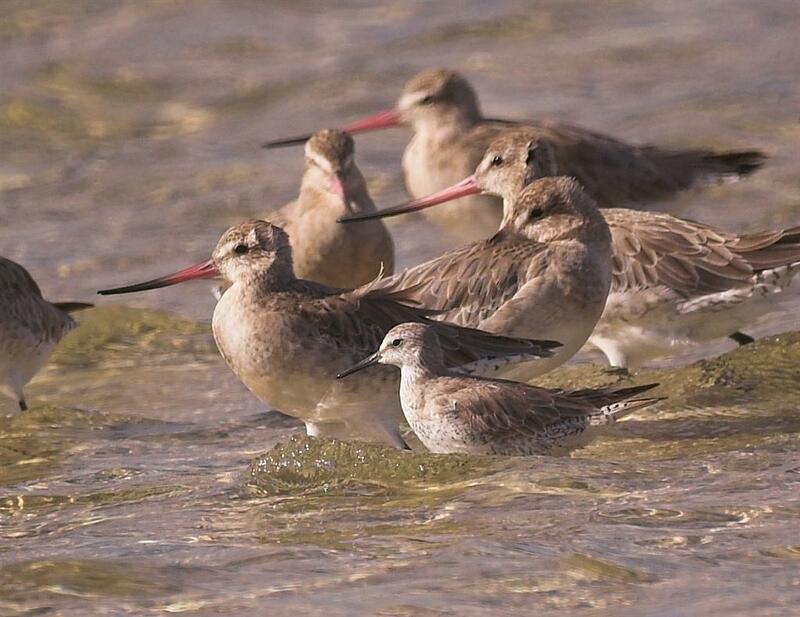 Usually in discrete flocks, this photo shows one of two seen at Pipeclay Lagoon this morning, not sure whether to flock with the Red-caps or the stint. I made a trip down to Marion Bay at the weekend and took the accompanying photo of a solitary Knot among around 70 Bar-tailed Godwit. Although I haven't regularly watched waders in recent times, there is obviously a decline in some migratory species, notably Eastern Curlew. Knot too seem to be a bit thin on the ground these days, although they've never been that numerous in the South of the state. I counted 10 Hooded Plover here too, although only one was a juvenile. 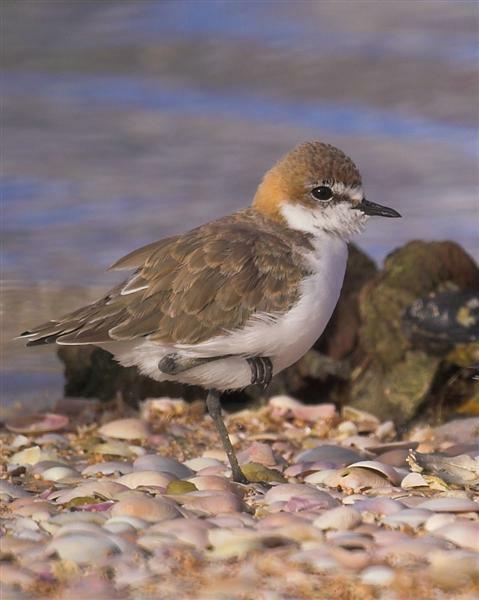 Other notables were a beach-washed Fluttering Shearwater and a Fairy Prion. Felix Wilson comments: Just a couple of sightings that may be of interest. 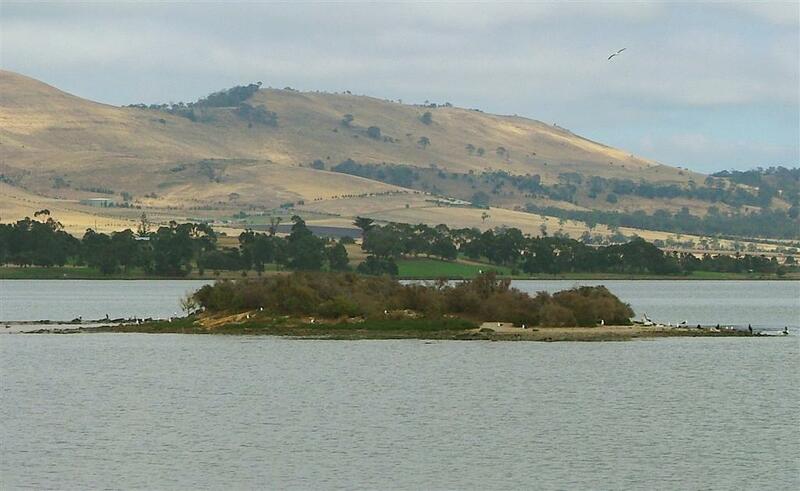 An Australasian Grebe at the top reservoir. 2 Hoary-headed Grebe (1 adult, 1 chick) at the lower reservoir. I have seen H/h Grebe here before, but not the Australasian. I understand they are expanding their range in South Eastern Tasmania. I noted today at Marion Bay a small number of dead Kelp Gulls and one dying. While probably not connected (except in my mind! 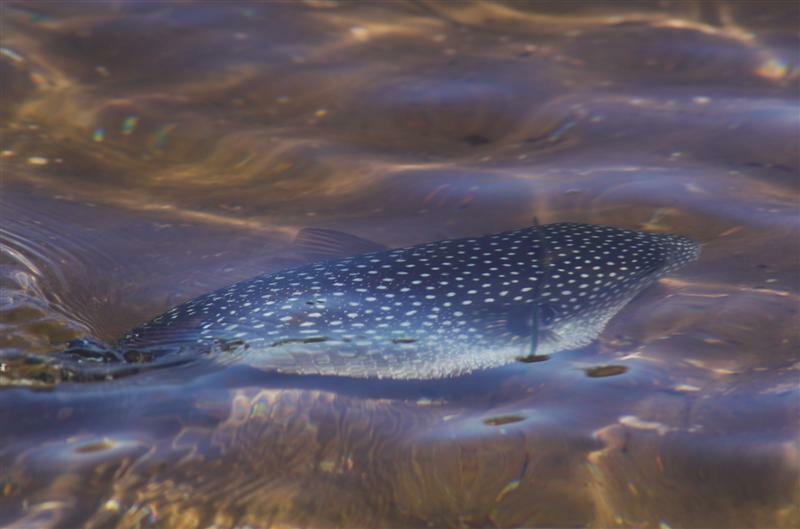 ), I also noted a number, maybe 10, Puffer Fish dead, which I assumed were discarded from fishing nets. However, I later photographed the live one seen here, apparently in good health. I'm fairly certain that they are poisonous to eat, at least to humans (I think it is possible to eat them but you have to know how to prepare them). 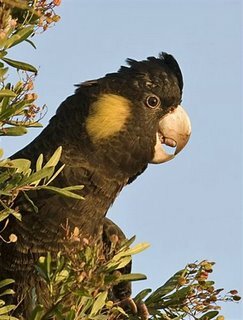 Does anyone know if they're toxic to birds? I suspect the two 'events' are coincidental. 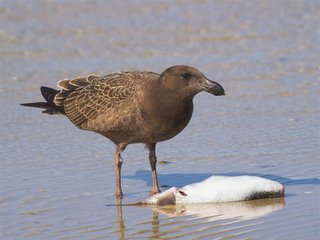 Before anyone points it out, the juvenile gull with a dead Puffer Fish is a Pacific Gull! 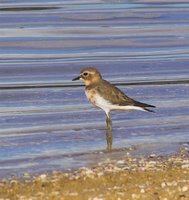 Anyone know whether this combination is a Victorian Wader Study bird? Appears to be Green over white (left leg ) and triple yellow on right ? 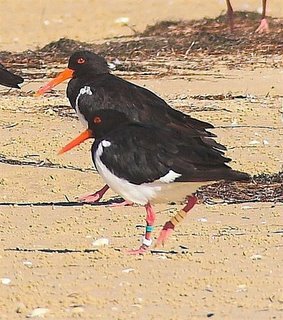 I seem to recall reading about these birds being banded in Victoria. 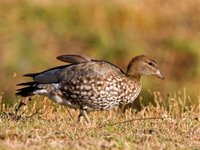 Photographed at Marion Bay this am, in a flock of about 70 others. Report from Bill & Els : They saw a White Ibis at Rosetta High School playing fields yesterday afternoon, Thursday 9/2, "while the sprinklers were working". A common bird elsewhere in Australia and seen here somewhat rarely, but 'irrupts' occasionally, when quite large numbers are reported. 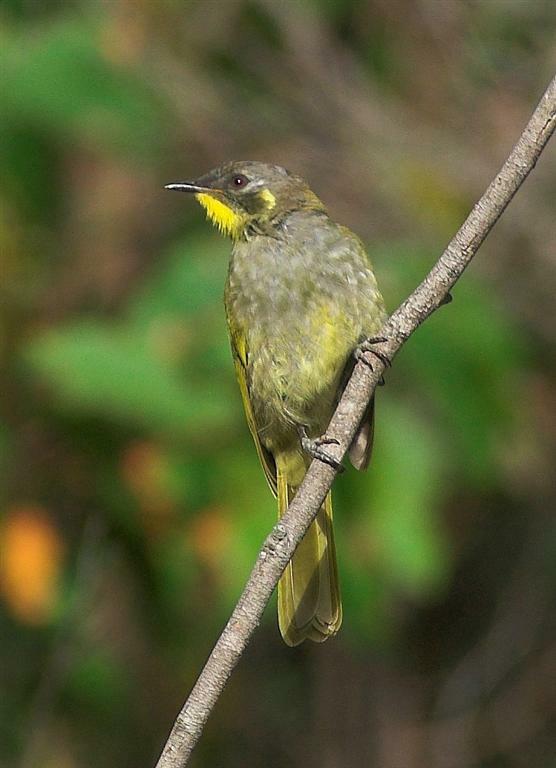 It's about this time of year that the Yellow-throated Honeyeaters start to move. This move is largely a 'dispersal', often moving into urban areas. Over the past 20 years or so I've recorded them appearing in my garden early in February, mostly in ones and twos. This year they started appearing in early January. Exactly what this may signify, I can only guess at. 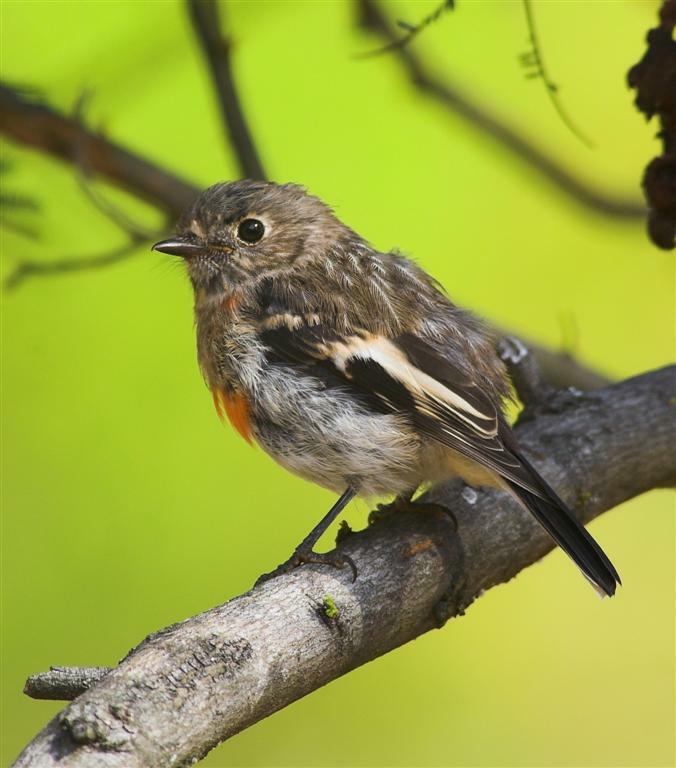 In the Meehan R ange at the moment they are particularly abundant, gleaning insects from leaves and under bark. 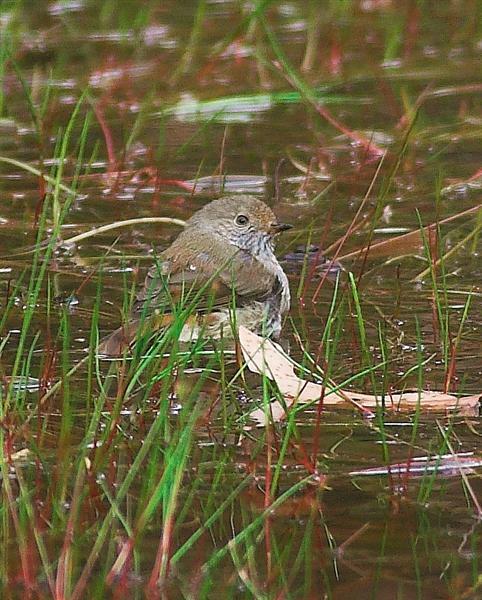 They are also one of the numerous species bathing. 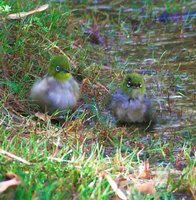 I've noted while banding, that they are usually in moult at this time, and often have pieces of feather sheathing on their plumage, which may account for the frequent bathing. One February, my son, Matthew and I, caught and banded over 50 mainly juvenile birds in one net, in less than one (frantic) hour. Which for a species not usually (ever?) found in flocks, was somewhat surprising. 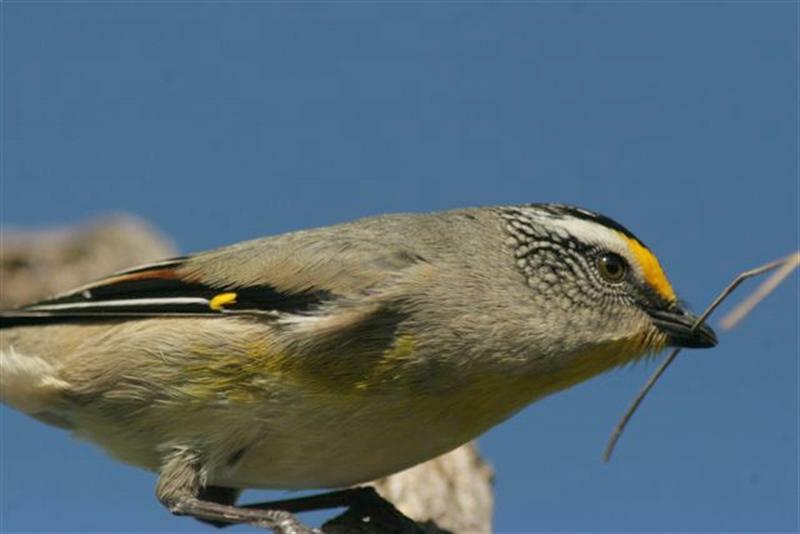 For an endemic species, I suspect we know rather less than we should about Yellowthroats. Felix Wilson writes: I had recently noticed Wood Duck at the Kingston Wastewater Treatment site as I passed. As they were on my list of birds to photograph, I decided on a visit. The flock there, consisting of about 20 birds were quite obliging, obviously desensitized to human presence by passing traffic. It's encouraging to see councils establishing areas like this to treat stormwater run-off, rather than just letting it run into the sea. I was invited to a 2 year olds birthday party at the weekend and since the parents are longtime friends I duly went. Well small talk is not really my scene, so I 'snuck' into their yard which adjoins the bush and took the accompanying pix. I returned in time to photograph the blowing out of the candles, so I feel I didmy duty! I must say, looking back, I did have a happy birthday party. 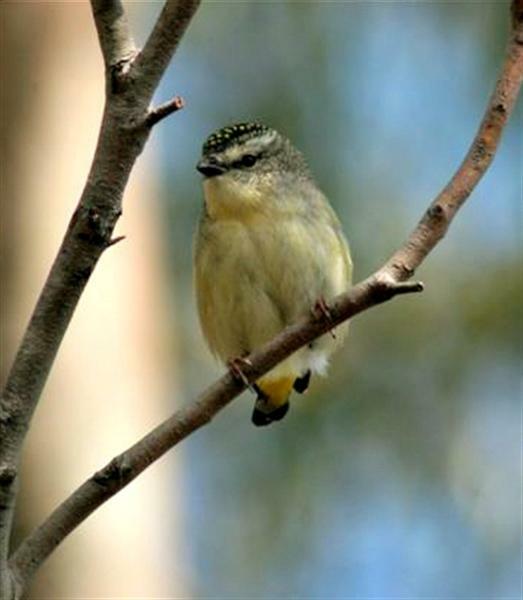 Bill & Els write: Recently we went over to Howrah after a report of a possible sighting of a Fortyspotted Pardalote by a Mrs Mary Crowe. 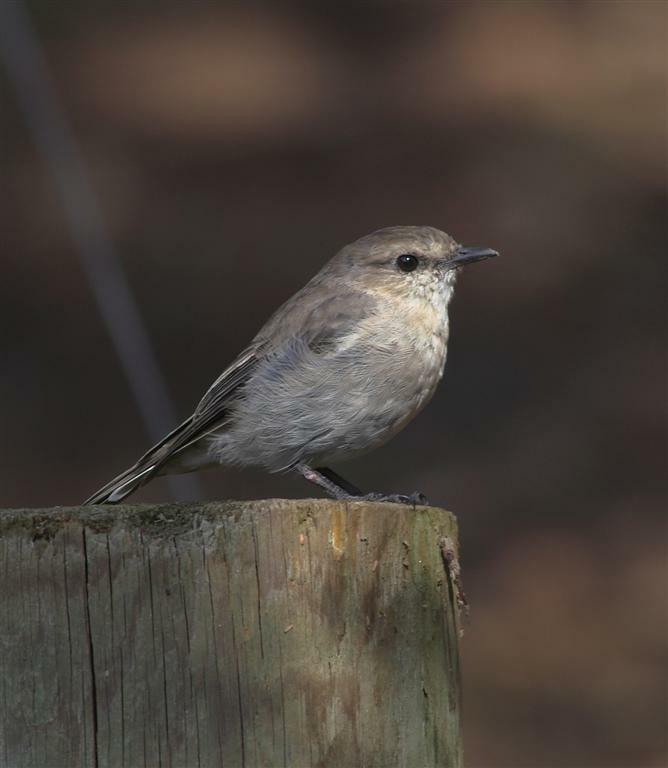 An occasional bird, which may be this species, has been seen in and around her garden for some years. 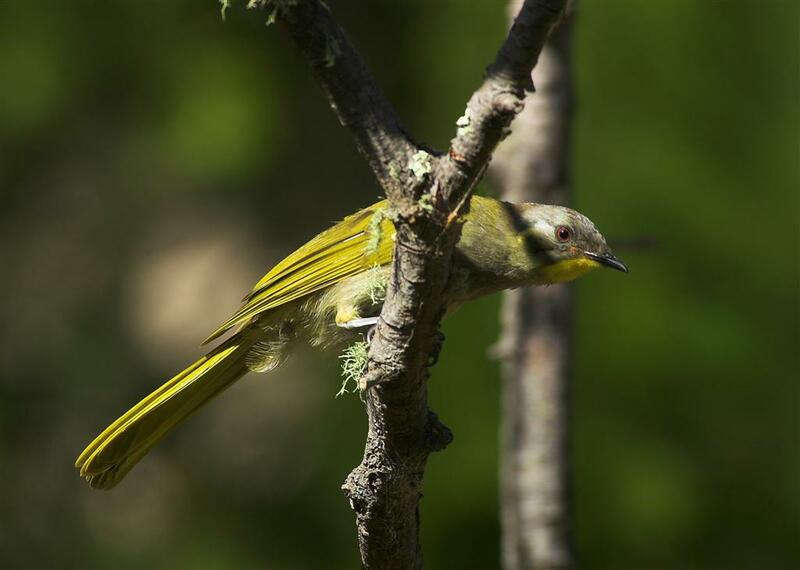 The birds were thought to be feeding in trees along the Minerva Park Creek walking track, which provides good cover and has the odd Euc. Viminalis. Unfortunately more and more trees are being removed as people want to create or retain views. One 'lady' wishing to retain views of the bus stop! (even though she doesn't use the bus) and another known as "Big Foot", reportedly stomp on any saplings planted near their gardens. Despite this, the area is teeming with birds, but no Fortyspots. There was a faint call which could have been one, which suggests the area warrants further observation as well as searching the viminalis in other parts of the area. Numerous family parties of Spotted and one of Striated Pardalotes fearlessly came to within a metre of us as they searched the foliage. 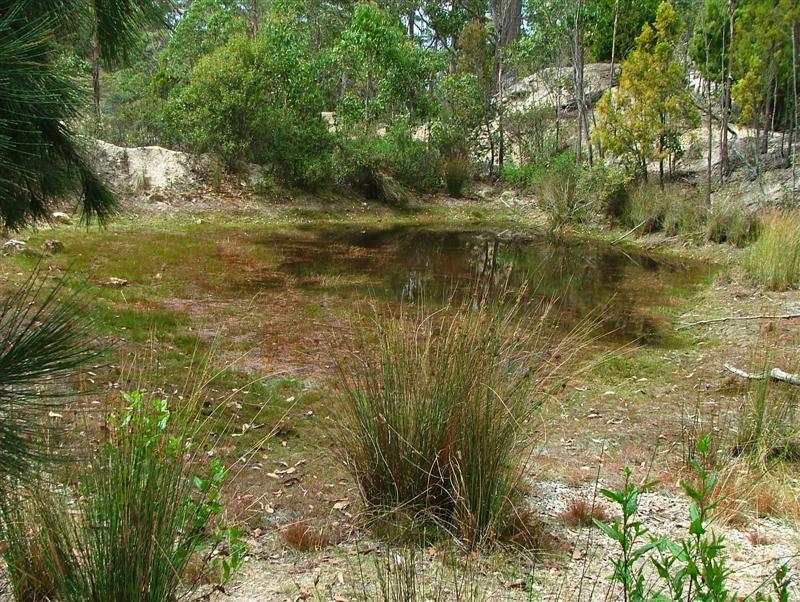 Areas such as this, which are well used by man, have helped reduce the birds fear of humans. 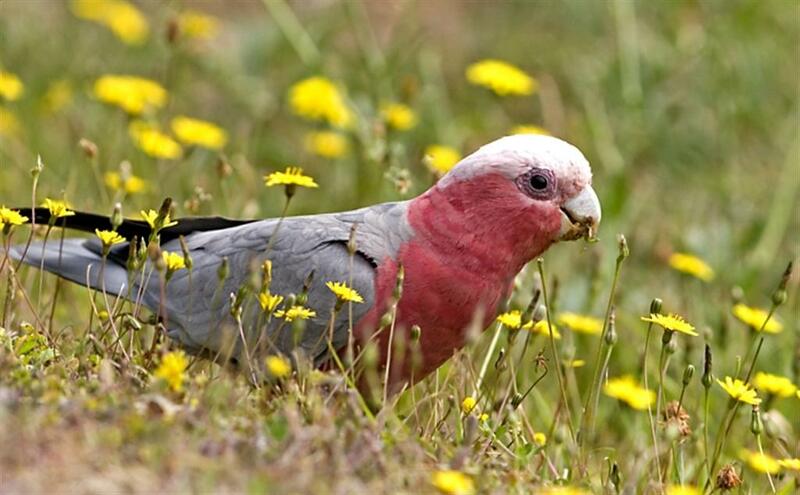 Felix Wilson writes: I found a flock of 4 Galahs on the roadside near Gould's Lagoon. They were pretty tame and allowed me to go within a metre or so to take these photos. They were feeding on dandelions as you can see. I don't know how much nutrient they get from them, but they obviously relish them. I know people make dandelion tea (although I've never tried it!) They are attractive birds and I was pleased to get so close to them. 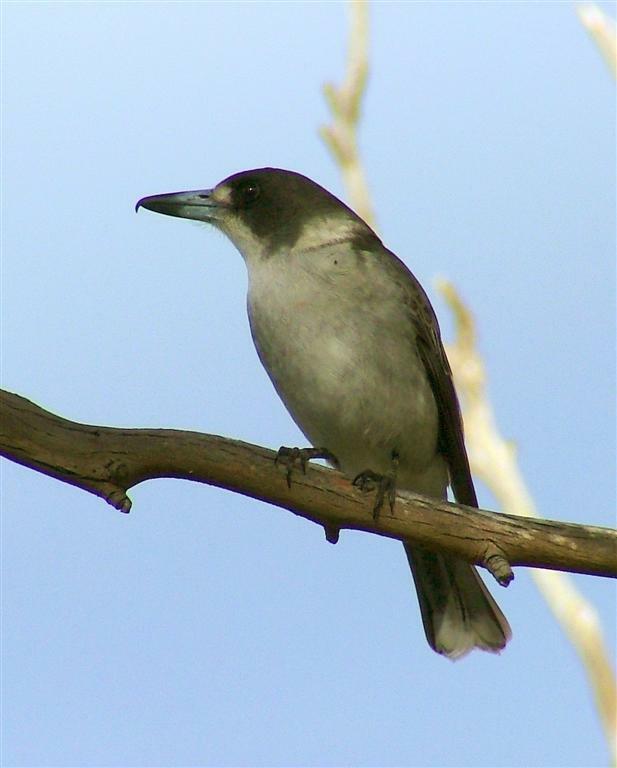 John Tongue writes: I was visiting a friend's farm at Kempton/ Melton Mowbray today, and enjoying the clear, melodious carolling of a Grey Butcherbird in a nearby Oak Tree. 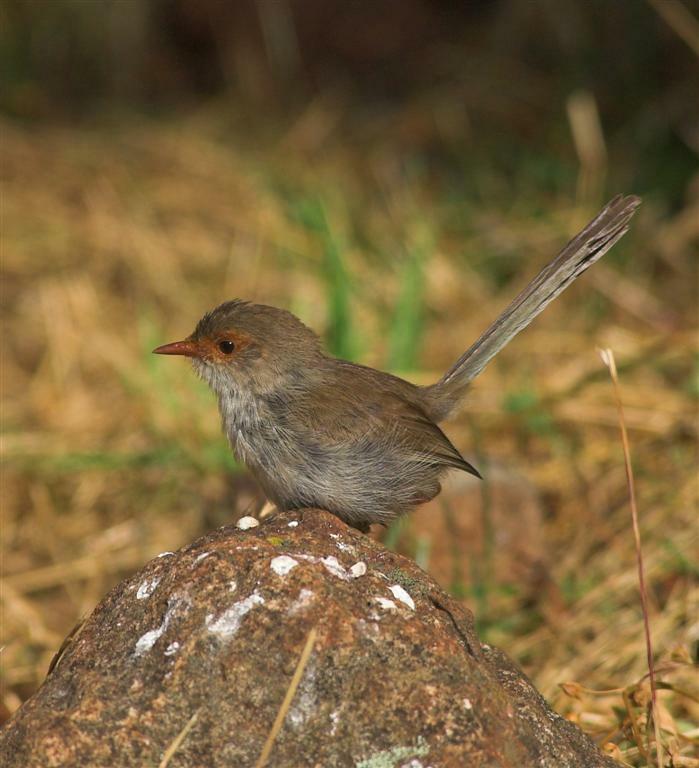 The thought struck me of the irony of how such a beautiful songster can also be such a fearsome killer. I wonder if the potential victims "appreciate" the Butcherbird's serenade as much as we do? Do you mind, we're trying to have a bath! 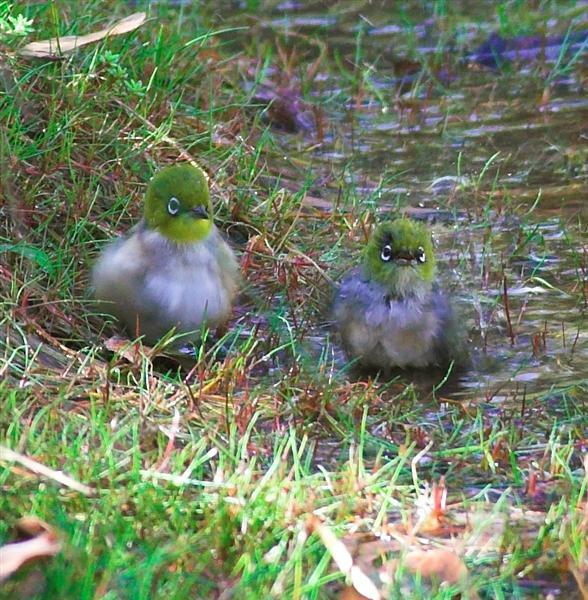 Two Silvereyes and a lone Brown Thornbill enjoying the 'luxury' of bathing in clean water in the Meehan Range. 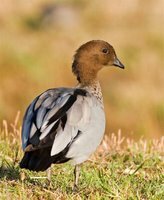 From Bill& Els: A project has started looking at the incidence of avian diseases and the possibility of the presence of the H5N1 virus in our waterfowl. The go-ahead has also been given to look at gulls as carriers and up to 150 will be swabbed along with a seriological assay on each bird. 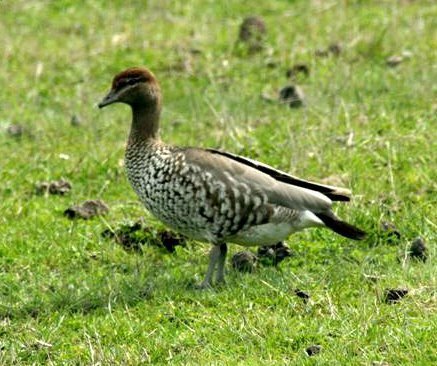 Last week we captured 20 Wood Duck and a Masked Lapwing with the help of a zap net. This is a net dragged out over the birds by strong bungee chords. The area was pre- fed for a week in order to attract the birds and this worked well. With a species like Wood Duck, which spends much of its' time out of water, it may be possible to learn more of their movements by using flags in the same way as used on waders. 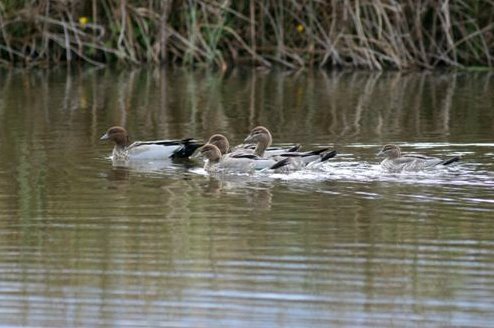 The next target will probably be hybrid Mallard x Black Ducks as they appear to be of most concern as potential carriers and vectors of disease. Their lack of fear of humans also makes them easier targets for the project. 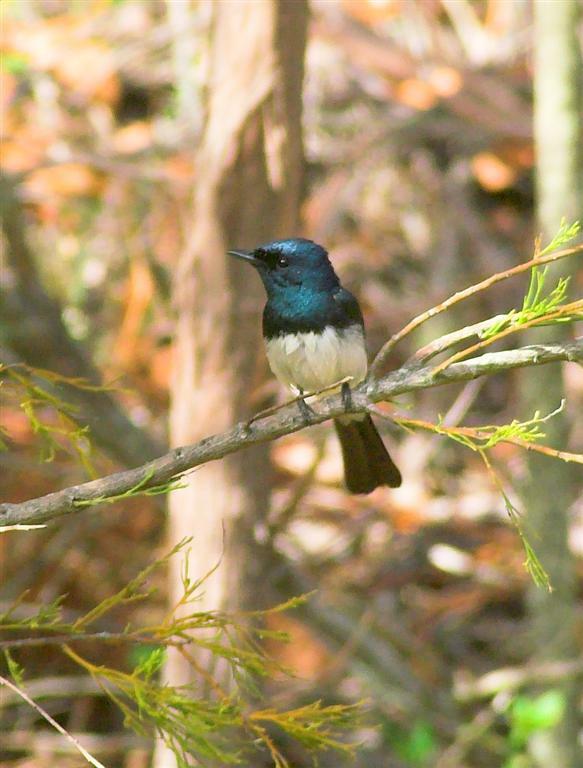 Revisited the Meehan Range this morning, to show Peter Willshire the Satin Flycatchers at the dam. Saw at least 4, possibly as many as 6 while we sat and watched several other species come and go. 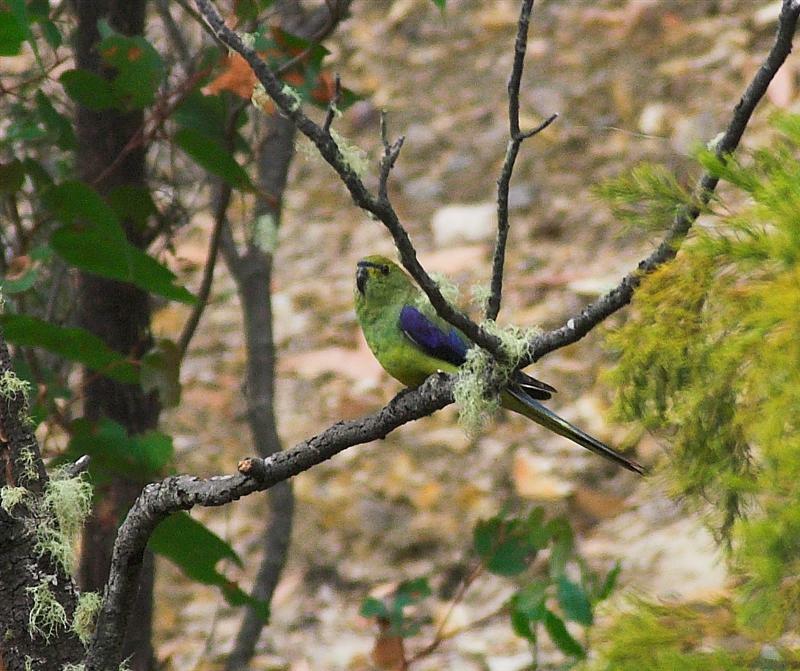 One visitor I didn't expect was this Bluewinged Parrot--a distant photo I'm afraid. I've often heard the Bluewings pass high overhead, but it's the first I've seen in the valley. I have found several pairs of Bluewings nesting in the "Meehan" over the years, but all of them high up along the ridge of the hills. Although Bluewings are surprisingly common, I suspect most of us rarely get more than a fleeting view of them. Went for a short walk this morning, armed as usual with my camera, in the Meehan Range. I've spent many hundreds of hours in this section, called "Red Gate" , after the gate at the railway crossing,( both the gate and the railway having disappeared long ago). The entrance is just West of Cambridge township, close to the overpass. 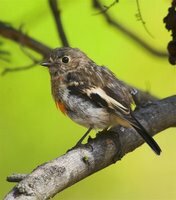 I had a banding site here for several years, which I operated with my son. It's a highly underrated area and on a good day, one of the best. 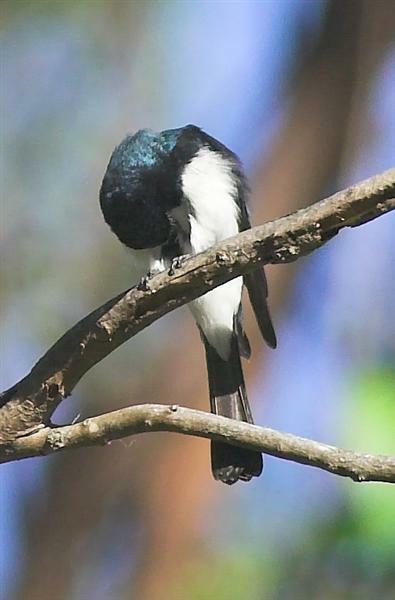 I spent 30 minutes or so at a waterhole, watching several species, drinking and washing, but the highlight of the morning was this pair of Satin Flycatchers. 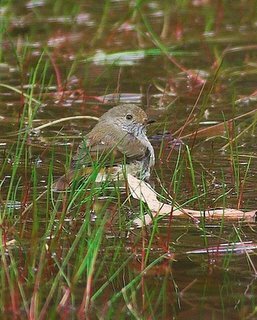 Flycatchers usually just 'dunk' themselves in the water in flight, which is what these 2 were doing, unfortunately much too quick for my photographic skills. Still I managed a few shots shown here.